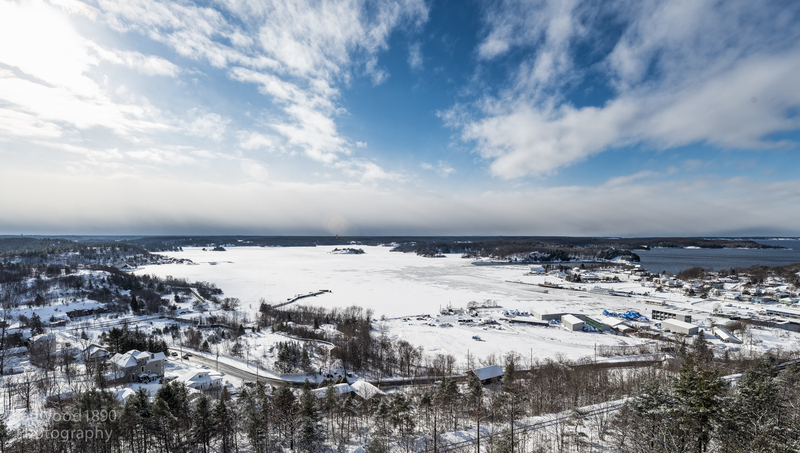 A two evening VHF instruction course with examination will be offered May 12 and 19, 2015, at Lakeland Long Term Care facility (beside the West Parry Sound District Hospital in Parry Sound). The supplied course materials include a manual and CD covering VHR marine radio use and Digital Selective Calling (DSC). The course will prepare you for the Restricted Operator Certificate (Maritime) and DSC Endorsement exams that will be administered on the second night with temporary licenses issued that evening for people successfully completing the exams. 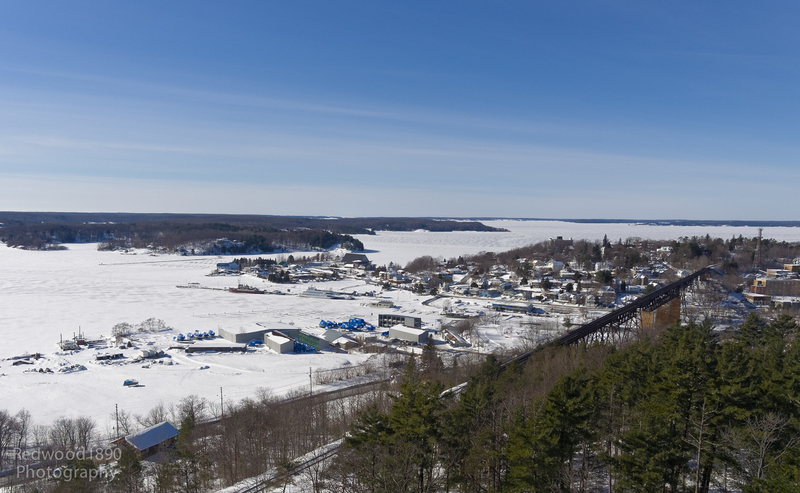 That’s Parry Sound Harbour. 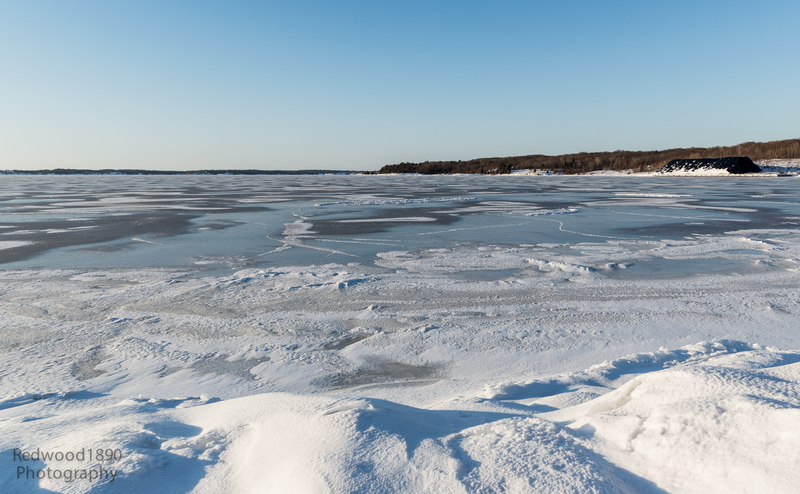 Remember yesterday’s photo of the Big Sound, wide open and with just a bit of ice on the far shore? 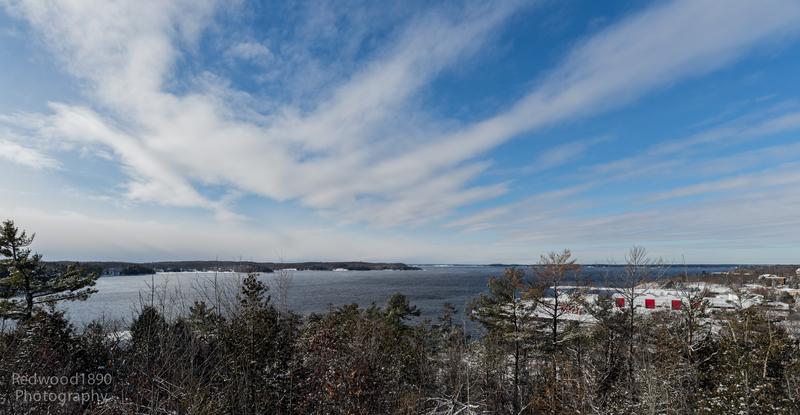 Well here’s a photo taken the same day with Parry Sound Harbour to the left and the Big Sound to the right. Quite a contrast. 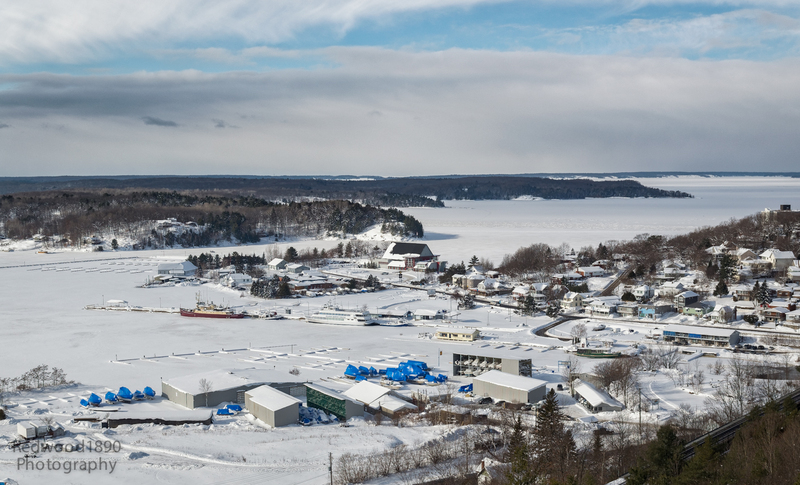 Tucked in to the lower right you can see where the Seguin River flows into the harbour. Despite the apparent complete ice coverage I didn’t see any snow machine tracks, but there was a hovercraft heading away from the Champaigne Street dock. By the weekend with the big freeze there should be a virtual highway for the snow machines as they head down the South Channel. The Big Sound will doubtless be iced over but perhaps not yet thick enough to support the weight of a snow machine and rider. 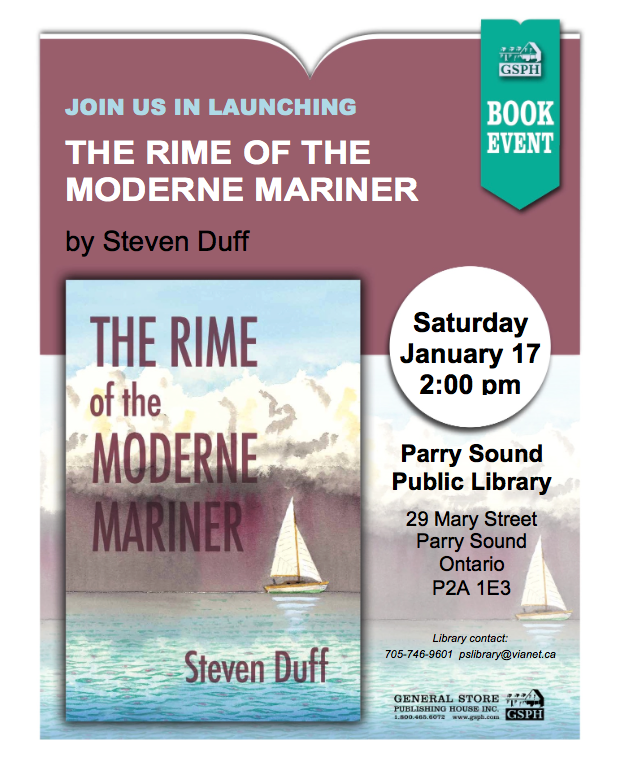 The Big Sound – Parry Sound. Clear sailing as of yesterday (January 5th), but cold with a guarantee of ice in the next few days. But don’t try and enter the harbour (more on this tomorrow). 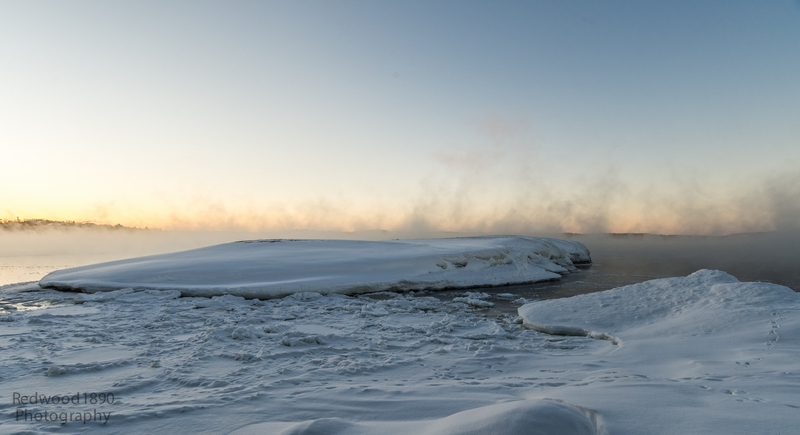 The Big Sound was frozen over on January 1st last year and I suspect it will be ice covered by the weekend with the cold weather we had yesterday, and the forecast for the coming days. It will soon be possible to walk on water.